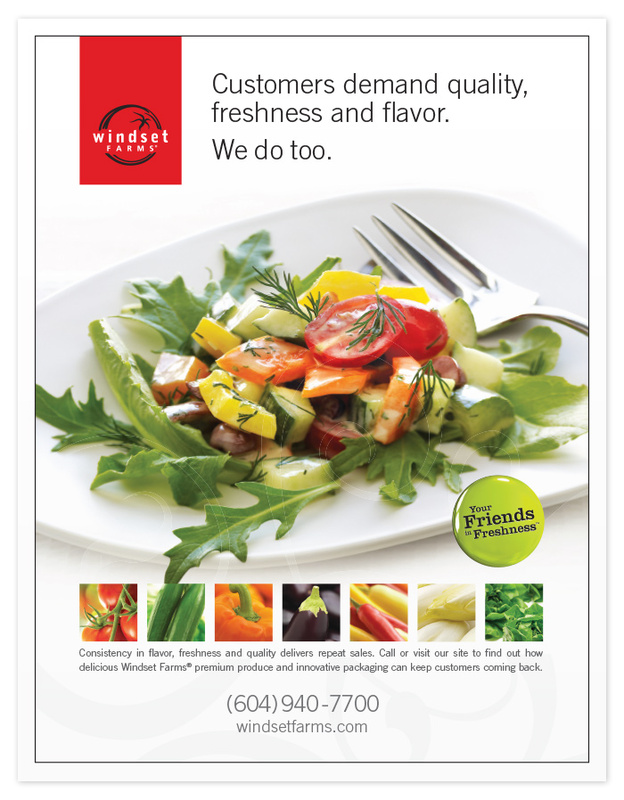 Windset Farms full page ad for the Food focused At the Table magazine. 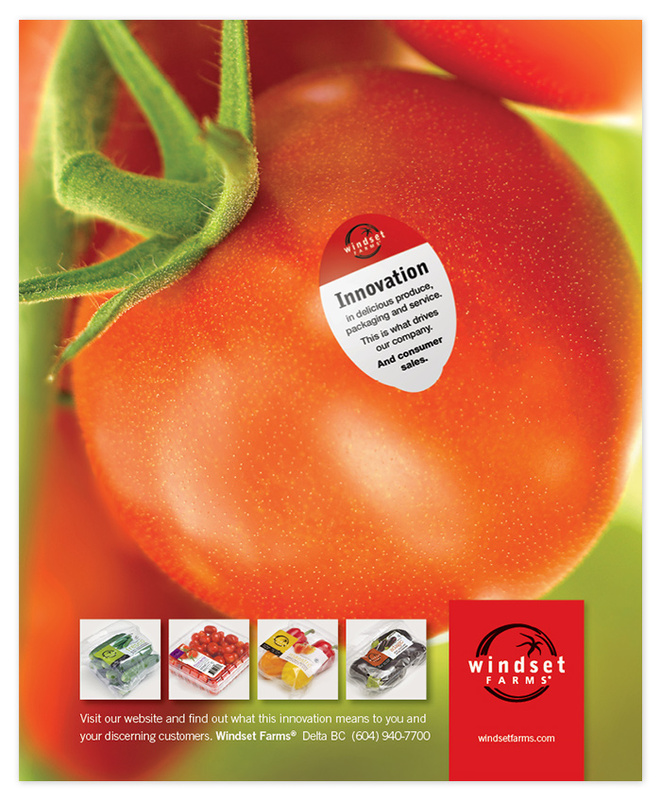 Windset Farms Grocer Today magazine ad, a produce trade magazine. 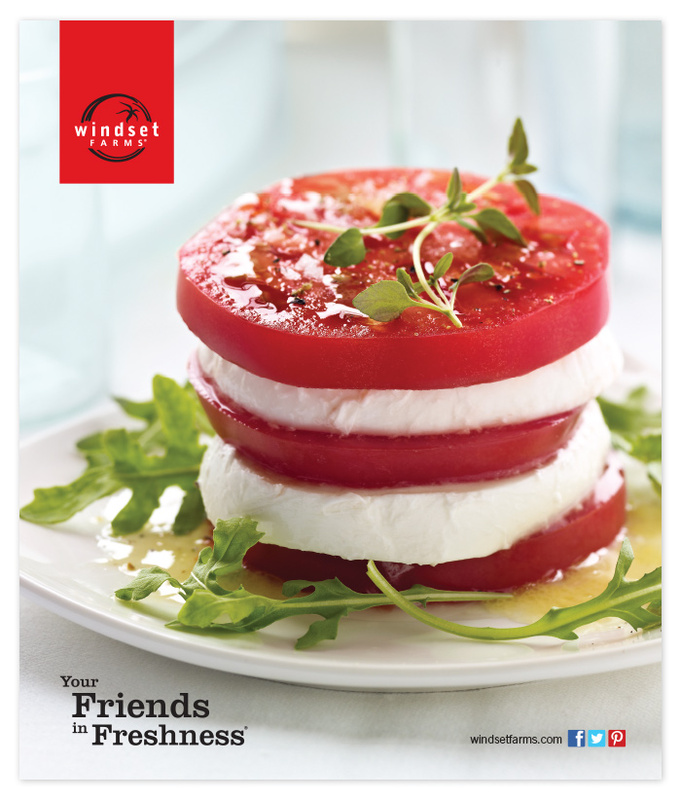 Windset Farms Fresh Impact magazine ad, for a produce trade magazine. 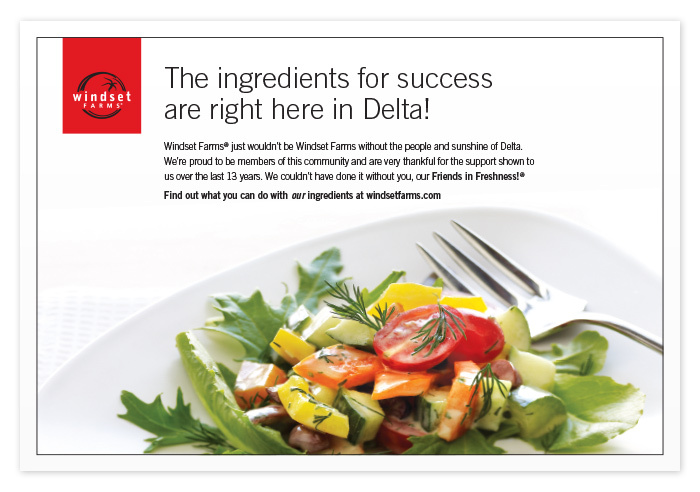 Windset Farms Delta Optimist newspaper ad. 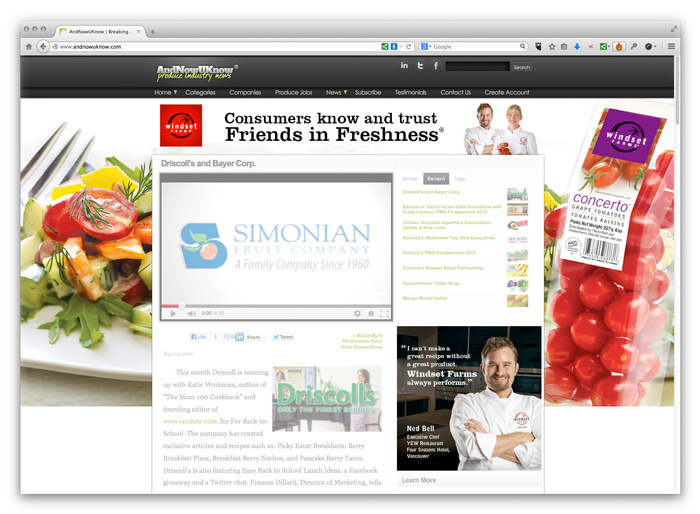 Page-wrap ad for AndNowUKnow.com, an industry focused news website. 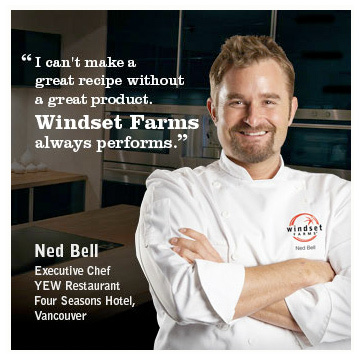 See also Windset Farms Office Environmental and Wayfinding Design and updates to Windset Farms’ website.